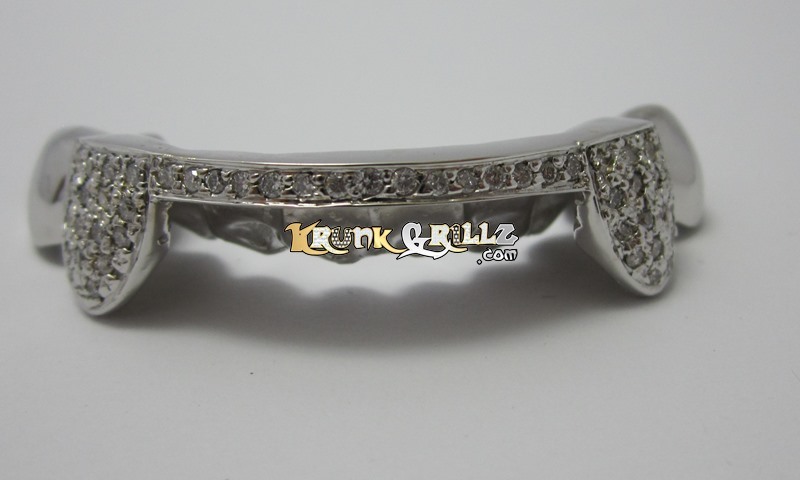 Custom fit diamond grillz with iced out bar and fangs. 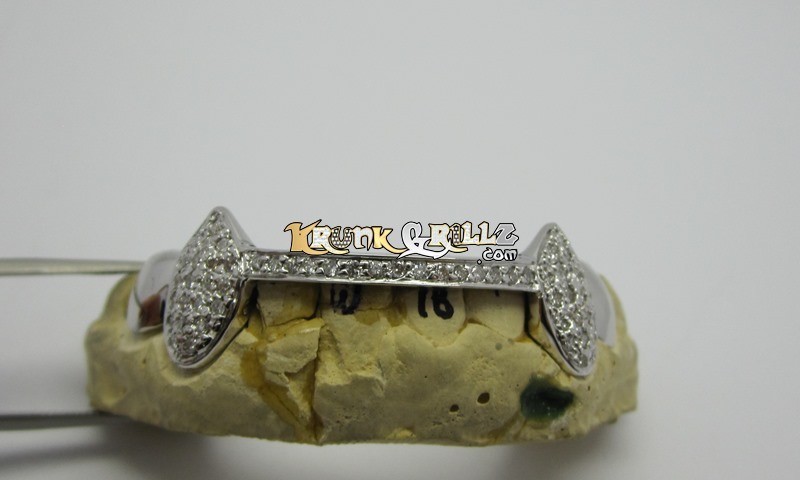 Pavé diamonds fill both fangs. The front 4 teeth have a single strip of diamonds across the bar. 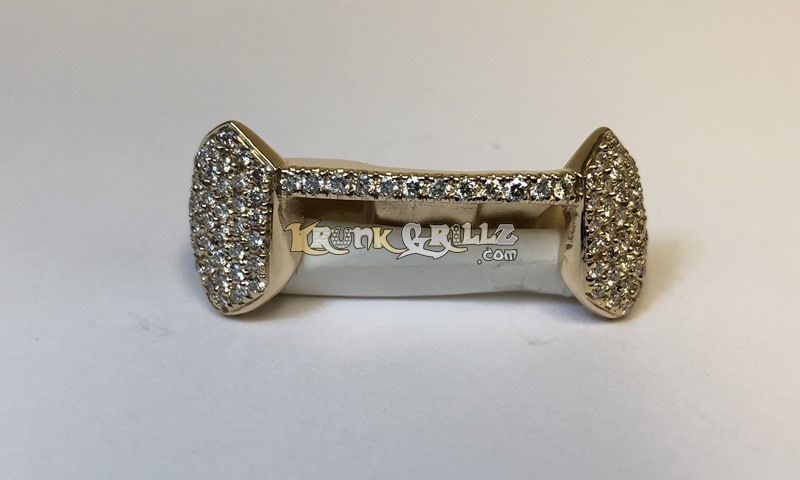 We hand-set each high quality diamond. Photo shown in white gold.